Who said a vegan diet has to be boring—these healthy and satisfying twists on your favorite junk food let you have the best of both worlds! "These dishes are far from the cholesterol-and-fat-laden paper bag meals delivered through a drive-thru. Author Lane Gold not only veganizes fast-food, she makes it better for your body. The instructions are simple and many recipes get a little help with store-bought ingredients, so it’s almost as fast as grabbing food to go." "As a health coach, I ... follow a healthy diet myself. However, I’m not down with people using 'healthy' and 'vegan' as synonyms. I went vegan for the animals. I eat healthy food for my well-being. But sometimes, I find myself craving a hearty sandwich, a big bowl of comforting mac and cheese, or a slice cheesecake, and that’s where Vegan Junk Food by Lane Gold comes in. The recipes in Vegan Junk Food are perfect for parties, holidays, or even just regular ol’ weeknights. You’ll find dinner dishes, sandwiches, snacks, and even desserts in Vegan Junk Food. The dishes are easy to make, and they use ingredients that are available in just about any grocery store. It’s a great book for those transitioning to veganism, vegans who are craving comfort food, and cooks trying to please families comprised of both vegans and omnivores." "Vegan Junk Food proves that going vegan doesn’t mean giving up your favorite comfort foods, or sustaining on plain broccoli and tofu every night of the week. With over 200 delicious (and animal-friendly!) twists on your favorite junk foods." "Until I had a child who was deathly allergic to dairy products, I didn’t attempt to prepare vegan food. Vegan Junk Food helps us allow her to have these treats. There’s everything from rich desserts like Chocolate Cake with Chocolate Ganache to fun snacks like loaded nachos. I’ve found plenty of “everyday” dishes too, like Macaroni and Cheese. 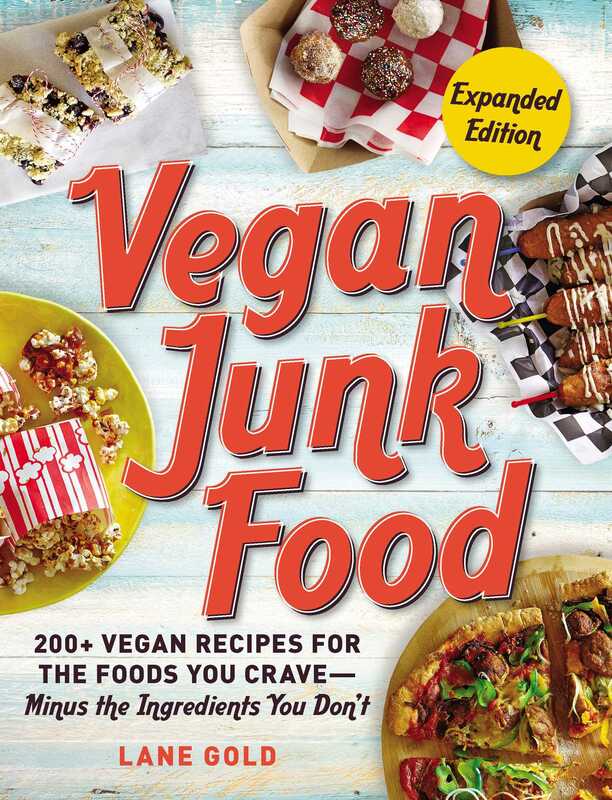 If you need or want to eat vegan, this cookbook has delicious recipes that allow you to indulge your cravings without the guilt." "Even meat-eaters will love the vegan recipes … drool-worthy photography. Vegan Portabello Cheesesteak — say what?! Yes, so 'meaty,' so amazing — a great weekend lunch or game day snack." "Vegan Junk Food shows you how to have fun with all of the junk food that isn’t usually plant-based. You don’t have to give up all of your junky cravings, with these easy and delicious recipes you can have all of the great treats that you want."